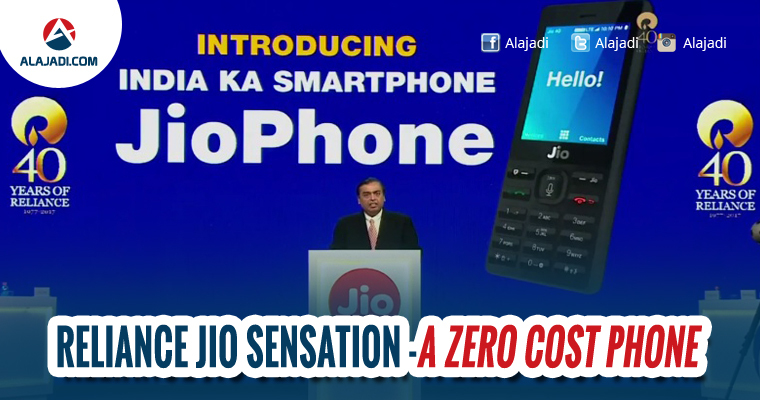 At the Reliance AGM on Friday, Chairman Mukesh Ambani announced JioPhone was introduced as “India ka Smartphone”, for an “effective price of Rs. 0” – but you have to pay a “fully refundable” Rs. 1,500 deposit, refunded after three years. 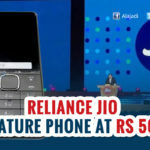 Although Reliance Jio launched in India in September, the company’s offering has been restricted to smartphone users as it is a 4G only network, and to make calls, a phone has to support the VoLTE technology, which is usually not found on basic phones. The company aims to change that with the JioPhone, which comes with 4G VoLTE support. 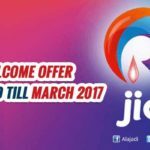 The JioPhone will include access to apps like JioCinema, JioTV, and JioMusic. The phone will be available from August 15 – for testing, in beta, and for pre-booking from August 24. Users who pre-book will be able to buy the phone from September, on a first come first serve basis. It will come with a couple of different data packs. Users can either pay Rs. 153 per month, for which they will get free voice and SMS, and unlimited data, along with Jio apps, or they can pay Rs. 309 per month, to get all this, plus the support for mirroring your screen on a TV, via a cable that can even be plugged into CRT TVs. After three years, you can return the phone, and get a full refund on the deposit. Aside from that, the company will also have two sachet packs, at Rs. 24 for two days, or Rs. 54 per week, for users who don’t want to commit to Rs. 153 as an upfront payment. 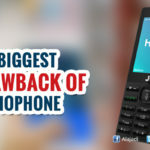 The JioPhone was introduced by Akash and Isha Ambani, revealing the phone’s support voice commands, along with standard feature phone functionality. Isha Ambani said that the phone looks familiar by design, to ensure that it is easy to use. The phone comes with a number of apps and browser installed aside from Jio’s offerings too. On stage, we caught glimpses of the JioPhone browser, Facebook, and also PM Modi’s Mann Ki Baat broadcast. “Data is the oxygen of digital life, and no Indian should suffer because of unaffordability,” he added. “Sadly the vast majority of mobile users are starved of data. 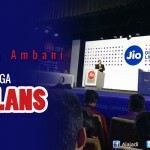 This unfairness must end, and Jio is committing to ending it today.” To accomplish this, the company needs to deliver on three pillars, Ambani said – connectivity, data affordability, and device affordability. “Jio is a data strong network built for the Internet from the ground up,” he said. “The TRAI speedtest portal has consistently ranked Jio as the clear 4G network leader in coverage, usage, and data speeds.” “Our network continues to rapidly expand. Jio, in the next 12 months, will cover 99 percent of the population. India’s 4G coverage will be more than its 2G coverage,” he added. To meet the need for device affordability, the company realised it would have to release a 4G VoLTE feature phone, as even an entry level smartphone costs between Rs. 3,000 and Rs. 4,500, Ambani said.